Filed to: Can You Hear Me Now?Filed to: Can You Hear Me Now? Last week, after Microsoft's DRM reversal put it on more equal footing with the PlayStation 4, we took a fresh look at the differences between the two, but we missed one incredibly important feature — headsets. 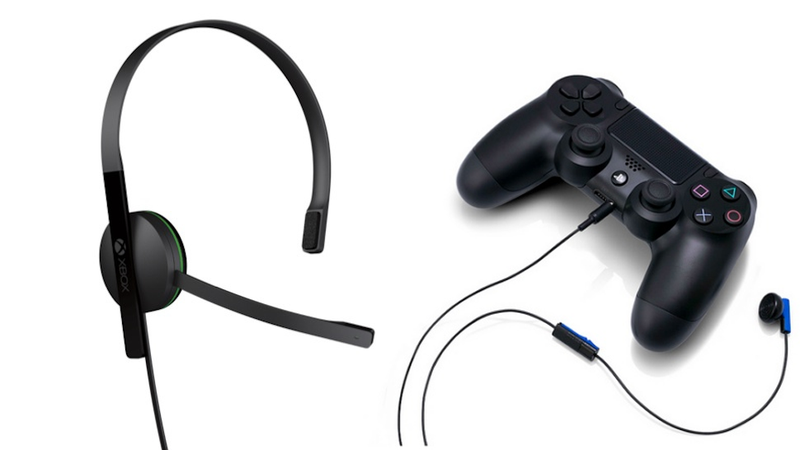 The PlayStation 4 comes with a mono headset. The Xbox One comes with none. If I could, there would be some dramatic music here. Maybe something from the old Unsolved Mysteries reenactments. Just imagine it. IGN has confirmed with Microsoft that the spiffy Xbox One headset will not be included in the box with the console. Out-of-the-package communications will instead be handled by Kinect, which includes all the parts required to yell at and be yelled at, with none of the intimacy of a headset. Is the headset included with the console? Meanwhile, the PlayStation 4, priced at $399 — $100 less than the Microsoft console — comes with a mono headset which plugs directly into the Dualshock 4 controller. Its camera, however, will be sold separately. It also bears mentioning that the PlayStation 4 features a standard headset jack and the Xbox One's is proprietary, limiting the options available on Microsoft's console, though third-party headsets are already in the works. Now I'm being a bit flippant about the whole situation, but that's only because I prefer not to hear other people talking while I am playing — or in general. If anything the inclusion of a headset in the PlayStation 4 box means the blissful silence of the early days of the PlayStation 3 won't be replicated. Remember how quiet Resistance: Fall of Man was? Those were the days. I can only hope one of my cats or children eats the mono headset shortly after unboxing. For the more social of you, this could actually be a big deal. Will headset availability factor into your next-gen console purchase?